Everyone's heard of the LEGO-like world-building game Minecraft and its creator Notch, but how many other games by the famous billionaire developer do you know? You'd be hard-pressed to find someone who's not heard of the block-building procedurally generated open world game Minecraft, originally created by Swedish developer Markus “Notch” Persson. With a playable build first publicly available in 2009 and a full version released in 2011, it quickly became both one of the best-selling games of all time as well as one of the most influential, turning the independent developer into a billionaire when he sold the company to Microsoft in 2014. But Minecraft isn't the only game that Notch has developed. Both before, during and after the release of Minecraft, Notch developed smaller, free indie games, usually for various game-making jams and competitions. Here we've gathered a selection of some of the Minecraft creator's lesser-known work, and where you can go to play them (if you can still do so). Starting from 2005 and ending in 2010, Notch created at least one game for the Java 4k game-making competition almost every year. With an outcome of nine games, most of these games were clones of other games (including Mega Man, Left 4 Dead, Lemmings and Sonic) with the aim of creating a game that took up less than 4kb of space on a hard drive. These game releases were Sonic Racer 4k, Hunters 4k, Dungeon 4k, Miners 4k,T4kns, Left 4k Dead and Left 4k Dead 2, MEG4kMAN, and VVVV. Unfortunately, many of these are no longer playable, though the two Left 4k Dead games are still available to play on GameJolt. 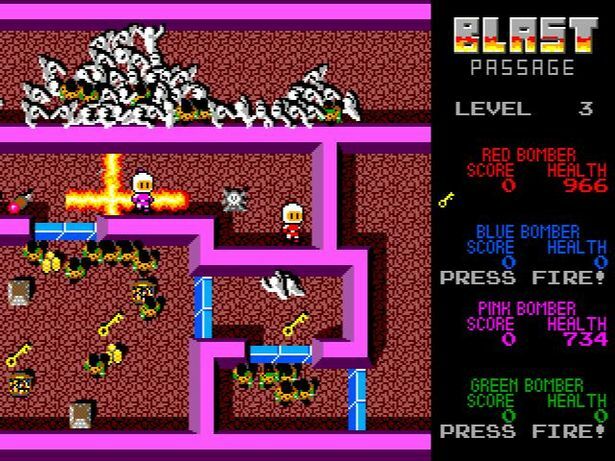 Originally created in 2008, Blast Passage is an interesting mix of two video game classics – Bomberman and Gauntlet. Featuring four-player local multiplayer, you must navigate monster-filled dungeons by collecting keys and dropping bombs to exterminate your enemies. Basically, if you've ever played Gauntlet or Bomberman, you know what you're in for here. You can play the game in your browser here if you want to give it a go! Released in 2009 for the Ludum Dare 14 game jam, Bunny Press was created within 48 hours by Notch, with the game having to adhere to an ‘advancing wall of death' theme. As such, this game is a violent puzzle game where you try to get to the end of the level whilst avoiding obstacles. Oh, and of course there's bunnies. Unfortunately, this is another case of a game being lost to time, thanks to Mojang's site wiping all of Notch's smaller games when the company was sold to Microsoft. The Europa Arcology Incident, was created by Notch for the Ludum Dare 16 competition in 2009 in just 48 hours. The game was a sci-fi rogue-like game and was well received. Although you can no longer play the game (for the same reason as the entries above), you can watch a video of its development. 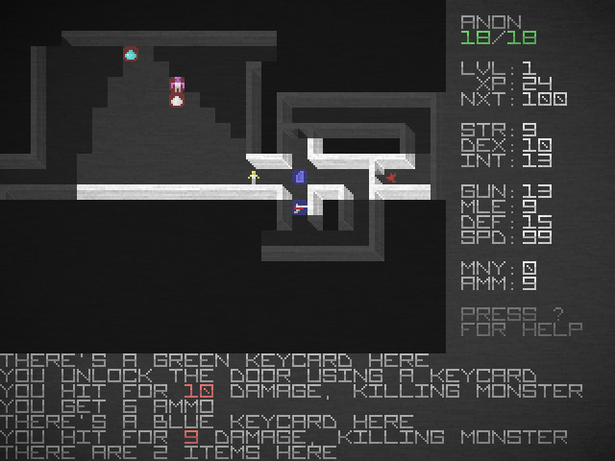 Created for the Ludum Dare 18 competition in 2010, Metagun was another game created in under 48 hours. You play as a man who fires a gun that fires men who fire guns at you, and you'll need their bullets to destroy obstacles and enemies in your way. With a great concept fairly-well executed – especially given the time constraints – this is a good example to prove how skilled of a game developer Notch really is (if Minecraft isn't enough for you). Although the original Ludum Dare upload no longer exists, a Reddit user has postedthe game's source code here. Created for the Ludum Dare 21 competition in 2011 (the same year that Minecraft saw its initial full release), Prelude of the Chambered is another game developed by Notch in less than 48 hours. The game is a short first-person dungeon crawler, where you explore a dungeon for power-ups and keys to navigate further and collect treasure. Also, you can punch bats, which is always a bonus in video games. Prelude of the Chambered stands as one of Notch's better small games, and thankfully you can download the game for PC or play it through your browser here. Minicraft may look and sound familiar, and for good reason – this surprisingly complete game was developed for the Ludum Dare 22 competition and borrows several elements from Minecraft. You roam around a world greatly resembling the original Legend of Zelda game, chopping down tress, mining rocks, fighting zombies and building shelters as you aim to ‘kill the only other sentient being in the world, making sure you'll be alone forever. Again created in under 48 hours, Minicraft is a testament to Notch's skills as a game developer. If you'd like to play the game, you can download it or play it through your browser here. Created for the Ludum Dare 28 competition in December 2013, Notch decided to go with a particularly festive themed game for his entry Last Minute Christmas Chopping. Playing as Santa, you must run through the forest and gather as much wood for your elves as you can within one minute. The game is still playable via your browser here if you'd like to have a go! Drowning in Problems is perhaps the weirdest pick of the bunch here, but interesting in its own right. A minimalistic game, you're first presented with a sentence reading ‘there is nothing'. A deep game cleverly using the competition's theme of ‘beneath the surface', the game sees you growing in age with your list of problems and needs growing larger as the game continues. Drowning in Problems is more difficult to explain than it is to play, but it's certainly worth giving a go in your browser here, if not just to see the diversity of Notch's games. 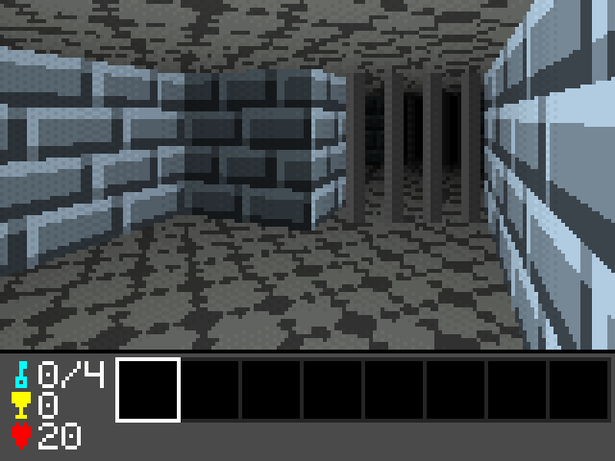 One of the more recent smaller projects from Notch was Shambles, a short first-person shooter game released in 2013. In Shambles, you roam through zombie-ridden streets, firing away at the undead intruders whilst attempting to avoid police and spare innocent civillians. Created for the 7DFPS game jam, this game's graphics are fairly reminiscent of Duke Nukem 3D – though the game is fairly less complete than that, as your aim here is simply to survive for as long as possible. You can still play the game here via Notch's website.